The parents of murdered teenager Hannah Foster are to return to India this weekend to find out why the prime suspect has not yet been extradited. Hannah, 17, was murdered in Southampton in March 2003. Maninder Pal Singh Kohli, who lived in the city, was arrested in India in July 2004. That development came five days into the Fosters' first visit to India. 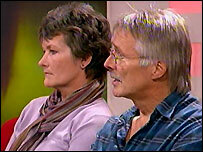 Trevor and Hilary Foster hope to meet lawyers handling the extradition and to focus renewed attention on the case. They will be accompanied on their trip by Det Sup Alan Betts, the senior investigating officer leading the inquiry into Hannah's death. Mr Foster has previously told the BBC: "We are determined to get justice for Hannah and we want to see for ourselves why this process is taking so long."